On Wednesday (17/10/18), CasinoLuck are launching their Get Lucky Now promotion which will run until Friday (19/10/18). Logging in at CasinoLuck during this time will bag you some bonus spins on selected games. Futhermore on each day, your first deposit will grant you even more bonus spins and an entry to a prize draw to win a Denver Electric Scooter. Log in on Wednesday 17th October and get yourself 5 bonus spins to play NetEnt’s most excellent game Berryburst. Log in on Thursday 18th October and you’ll be granted 5 bonus spins to use on Play’n Go’s Street Magic. And finally, log in on Friday 19th October to grab 5 bonus spins on Play’n GO’s Cats and Cash. Deposit £$€20 to get 10 bonus spins. 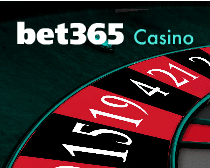 Deposit £$€30 to get 20 bonus spins. Best of all, Deposit £$€50 to get 60 bonus spins. This promotion isn’t just about a tonne of bonus spins. There’s also a prize draw to win a Denver Electric Scooter! This amazing bit of kit sports a powerful 250W motor that will send you schlepping along at a swift (for a scooter!) 20km/h with a range of 12km. Just make a deposit during the promotion to win an entry. Depositing on all three days will earn you 3 entries and maximise your chances of winning this fantastic prize. For a deposit to qualify for the promotion, it must be turned over at least 3 times on our slots games. The results of the raffle or any other decisions taken by CasinoLuck management regarding this promotion are final and may not be contested. 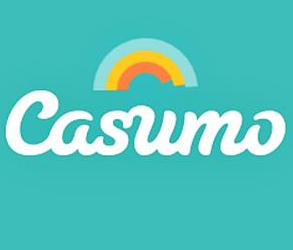 CasinoLuck retains the option to cancel this promotion at any time. The winner will be notified via email within 48hrs after the end of the promotion. Opening Promotion All New Slots Club VIP Scheme Mobile Casino The contents of this review are based solely on the experience and opinions of the reviewers at Egamer.world. T&Cs apply, Wagering Requirements Apply, Players must be 18+, Please gamble responsibly.